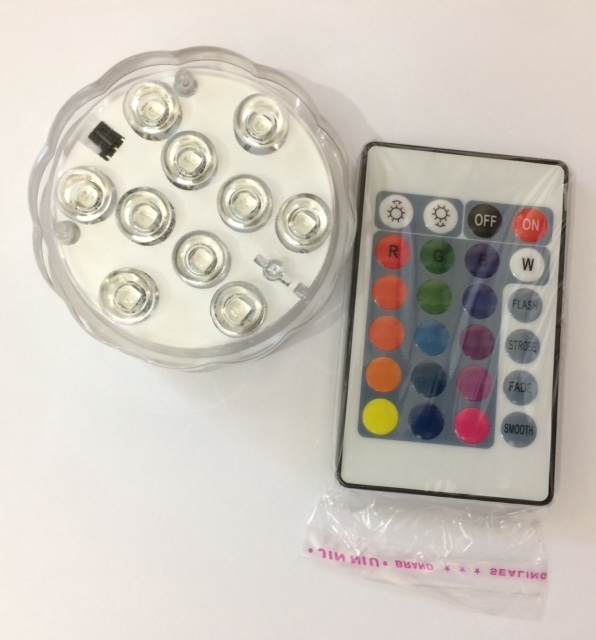 This Submersible, Multi-Color LED Light is perfect for centerpieces, fountains, ponds, ice sculptures, pools, and so much more. The remote controller is included. Please, remove the light from the water after the party. 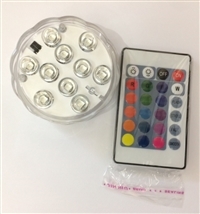 The waterproof light contains 10, LEDs that are remote-controlled to create 16 different colors. The remote also allows you to control flash, strobe, fade, and smooth color change effects. For best results, we strongly recommend replacing the 3 AAA batteries after every extended use.